It’s impossible to recognize every New York City Firefighter that has gone above and beyond the call of duty. It happens in just about every firehouse in the city. It is our mission to recognize the spirit fo the FDNY that evening as well as providing a great experience for off that attend. In our 25-year history we have hosted over 5,000 New York City Firefighters, Recognized hundreds of or hero's, Raised over $200,000 for FDNY related causes. And most of all, we showed our Bravest that their efforts and professionalism are greatly appreciated and that We Will Never Forget! 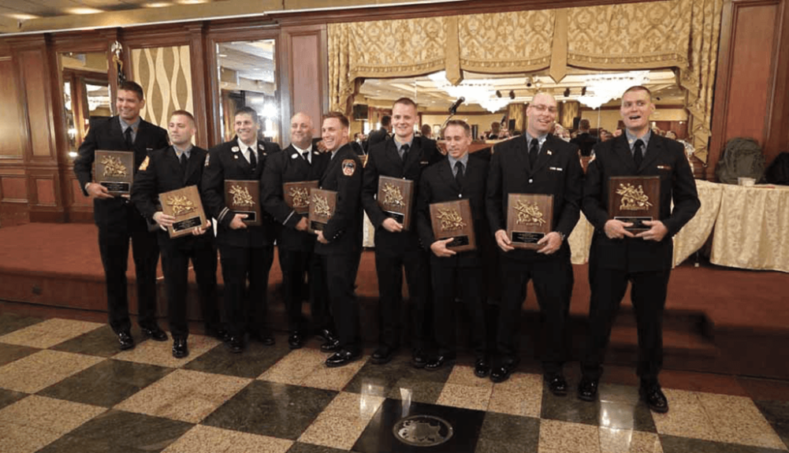 Nominate A New York City Firefighter for a Bravest Award! Do you work with a firefighter that was somehow overlooked for a Medal? Maybe you know of an off-duty rescue or a New York City Firefighter that epitomizes the very spirit of the FDNY? It’s very simple to nominate a Brother, and should they be chosen, you too will be invited to this wonderful event. You get to be the hero! We call them the Bravest of the Brave! 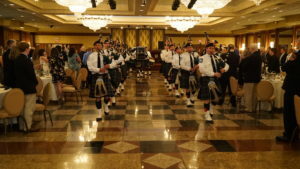 If its a New York City Firefighters Awards Ceremony then you have to have the FDNY Emerald Society Pipe and Drum Band. They know how to start a party! Thanks, guys! As the rest of the country has moved on from the horrors of 9/11, our Bravest continue to battle the effects daily. Americans know that we lost 343 of our Bravest that day, but what most do not know, is that we have lost an additional 167 to date as a direct result of their heroism displayed at Ground Zero. 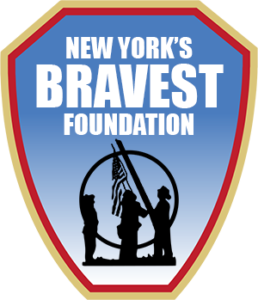 New York Bravest Foundation, Inc., a 501(c)(3) nonprofit organization is on a mission to support our Bravest through their current battles. Nominees could be the leader in the Firehouse, you know that go to Brother that goes above and beyond, or maybe a grab that fell through the cracks. Maybe it’s a relative or an off-duty save. Check out some of our videos on the site to see what a great night it is!